Two posts in one day, I am getting a bit crazy here! So the current Wednesday Challenge theme over at Simon Says Stamp is "It's a guy thing" which is a real challenge for me but I thought I would give it a go and made a boy card for a change. I am loving my new Stampin' Up Cheerful Critters and thought a little bear would be perfect. The sentiment is from a Simon Says Stamp set and I decided to use woodgrain and grey card as my base to keep it feeling masculine. The last week has been a whirlwind and while I have been making some cards I haven't had time to sit down and do any blogging (I really need to make better use of my new planner!). 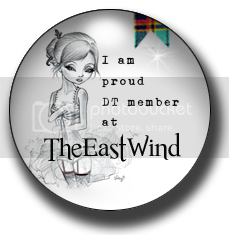 Today there is a new Lucy Loo release over at The East Wind and I cannot even tell you how much I love this image! It is called Lucy Loo Song For Tears and she is just so pretty. As I said I love the image but I wasn't sure how I was going to use it, I was thinking an art journal page but when I was glancing around my desk I spied a little I MISS YOU stamp and it all just came together - I love it when they happens. I even had the pink heart pre-cut and decided to utilise that. I wanted to add some interest around the edge of the card so I use a stitched die from Lawn Fawn to finish it off. I really love how this came out. I took my inspiration from the circle and also the shaker component for my card. For the sentiment I used by brand new Simon Says Stamp - Wishing & Sending Stamp Set. At the moment I only have a plain circle die so to add a bit more interest to the white card I dry embossed it with my Cuttlebug Swiss Dots embossing folder. 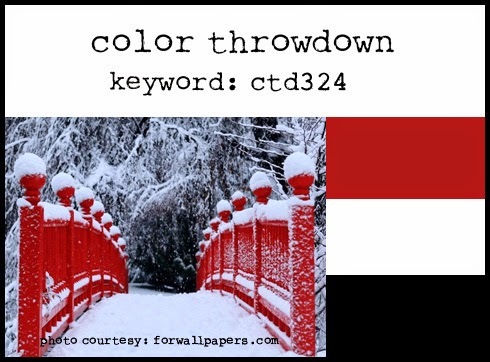 I am also entering this in the Color Throwdown Challenge #324 which is why I decided to incorporate the black base, I think it makes the card very striking. Today I made a card for the Simon Says Stamp Wednesday Challenge which is "Something New" (and I also used it for a challenge at Splitcoast Stampers). The little penguin is from Mama Elephant and I have used the Simon Says Stamp Sending and Wishing stamp, such a fabulous set and I know I will use it lots. Thank you for stopping by, I hope you have a nice weekend. © 2015 Mandalika Designs. Simple theme. Powered by Blogger.